Marvelous. Honest. Generous. 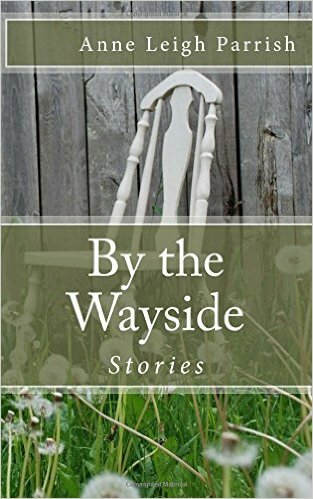 From the first story to the last, “By the Wayside” catches your attention and demands that you give into its every whirl. Each character unfolds with a precision that will have you wondering how Parrish managed to create such real-to-the-bones people within a world that captivates you with ease. Anne Leigh Parrish is the author of All the Roads That Lead From Home, stories (Press 53, 2011); Our Love Could Light The World, stories (She Writes Press, 2013); and What Is Found, What Is Lost, a novel (She Writes Press, 2014). Her new novel, Women Within, is forthcoming from Black Rose Writing in September 2017. As a writer, I love the way short stories give you the freedom to experiment with different styles of writing – voice, narrative style, POV, genre. In this way, short stories are like play. As a reader, I enjoy seeing what individual writers do with various literary forms, but I also appreciate pieces that are short enough to read in one sitting – one cup of tea, one good soak in the bathtub. The stories in By the Wayside include all the things I appreciate as a reader. Deft use of language, clever turns of dialogue, interesting characters. I particularly enjoyed “How She Was Found” and “Artichokes,” but the rest of the collection was equally compelling, sometimes sad, often poignant. I enjoyed the different characters author Parrish let us meet, by the different lifestyles we were able to glimpse. In addition, I found that Ms. Parrish is incredibly adept at subtly twisting expectations. In “The Professor,” the young girl is NOT seduced, for example. By The Wayside is a collection of stories worth reading. Keep it in your bathroom or on your nightstand and savor the tales, one at a time. You won’t be sorry. Review: By the Wayside, by Anne Leigh Parrish by Melissa Bartell is licensed under a Creative Commons Attribution-NonCommercial-ShareAlike 4.0 International License.